Soon after it arrived on the scene, this piece of modern audio technology was the must-have item of its time. With superior audio quality and the ability to take your music on the go while jogging, on the beach or anywhere outdoors, it quickly became a best seller. No, we're not talking about Jambox, but the Sony Walkman Cassette Player which hit the market almost 35 years ago in 1979. But like the rotary phone, today's gadgets make this beloved mobile music player a relic. Something to be marveled at and puzzled over by the current generation of kids raised on digital music, streaming radio channels and YouTube concerts. 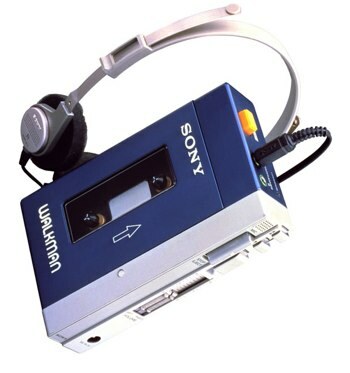 Just how would today's kids react when shown the original Sony Walkman player with no speakers and a pop up cassette tray? The video below from the React YouTube series show kids 13 and under respond when handed an original Walkman cassette player and asked what they think it does and how it works. The results are...well, amusing and horrifying all at the same time for those of us that remember the Walkman when it first came out. Our only consolation is the next generation likely won't know what a bulky desktop computer is, right? They are so cute!! The astonishment was a sight to behold! It wasn’t so many years ago that I still had one of these. I still have a portable CD player that my grandchildren use to listen to a book in the car or when going to sleep. I got rid of all my cassettes because I didn’t have anything to play them on anymore. This video is so adorable. Makes me feel as old as I am. I remember being excited with my 8-transistor portable radio by Zenith. How would they feel about that?